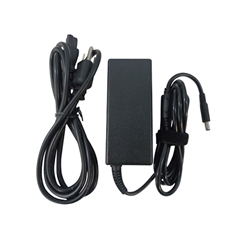 Description: New laptop ac adapter charger & power cord. This is a 3 prong high quality aftermarket adapter. Compatible Part #'s: CDF57, LA45NM131, D0KFY, 332-1827, PA-1M10, PA-1450-66D1, 3RG0T, PA-1450-01D, JHJX0, 312-1307, JT9DM, LA45NM121, FA45NE1-00, 4H6NV, X9RG3.